Median house prices firmed slightly and sales volumes lifted across New Zealand during February as the market exited the holiday period, according to the latest figures released today by the Real Estate Institute of New Zealand (REINZ), source of the most recent, complete and accurate real estate data in New Zealand. Two of 12 regions in New Zealand hit new record high median sale prices in February 2017 (Northland and Otago), with the national median price rising to $495,000, up by $5,000 from January. This represents a 14.1% year-on-year rise on a seasonally adjusted basis. The number of sales for February 2017 was 6,253, an increase of 45% on January, although on a seasonally adjusted basis sales for February 2017 fell 8.9% compared to February 2016. 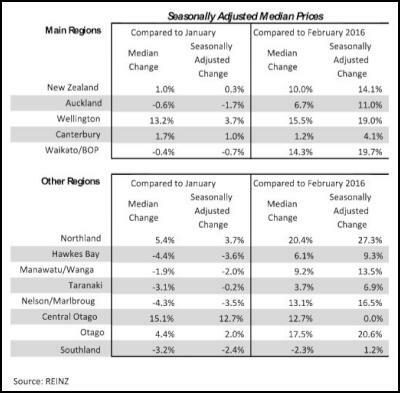 In Auckland, median prices rose a seasonally adjusted +11% (6.7% median change) year-on-year, although the median price dropped $5,000 (-1%) during February. The median price rose an average of 10.6% over the past three months, versus 10.5% over the same period a year ago, indicating a very similar performance between the first three months of 2017 and 2016. 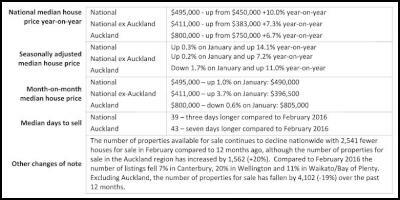 Auckland inventory has risen by 20% (1,562) over the past year, rising sharply over the past three months. 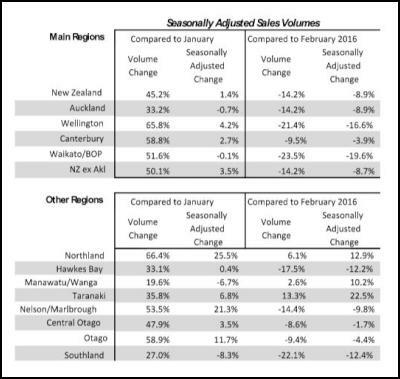 Over the same period Auckland sales volumes were 8.9% lower on a seasonally adjusted basis. Auction sales dropped from 34.8% of sales in February 2016 to 29.3% in February 2017. Days to sell rose from 41 days to 43 days (against a 10-year average of 41). REINZ CEO Bindi Norwell says: “We are seeing a mixed picture across New Zealand. 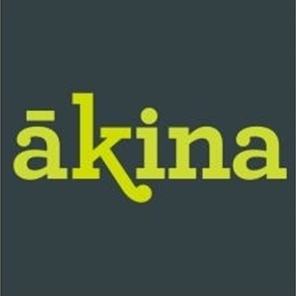 Auckland is mixed: there is something in the market for buyers and sellers. 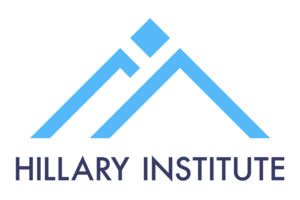 For instance, although there are more houses on the market and median prices are rising on a seasonally adjusted basis year-on-year, sales volumes were down in February 9% year-on-year on a seasonally adjusted basis. The national median house price rose $45,000 year-on-year. A seasonally adjusted rise of 14.1%. Compared to January, the national median house price rose $5,000 (+1%). Central Otago Lakes recorded the largest percentage increase in median price compared to February 2016, at 30%, followed by Northland at 20% and Otago at 18%. There were 921 dwellings sold by auction nationally in February, representing 15% of all sales and a decrease of 378 (-29%) on the number of auctions in February 2016. Transactions in Auckland represented 51% of national auction sales, with the number of auctions in Waikato/Bay of Plenty representing 19% of national auction sales and the number of auctions in Canterbury/Westland representing 15% of national auction sales. These three regions represented 85% of auction sales in February 2017. The number of days to sell improved by two days to 39 days from January, and eased three days compared to February 2016. Otago had the fewest number of days to sell at 27 days followed by Wellington at 29 days and Manawatu/Wanganui at 32 days. Northland and Central Otago had the most number of days to sell at 53 days, while in Auckland the number of days to sell rose by two days to 43 days compared to January and rose by a week compared to February 2016. Between February 2016 and February 2017, the number of homes sold for more than $1 million rose by 5% to 708 homes to equal 11% of all dwellings sold. The number of dwellings sold under $600,000 has declined by 1,081 between February 2016 and February 2017 compared to a fall of 1,038 for all dwellings.